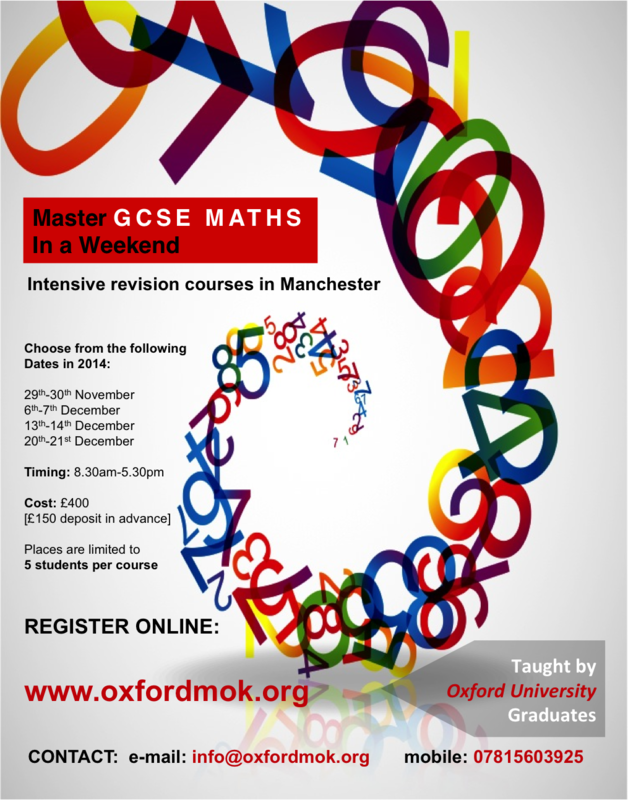 Sign up for one of our intensive GCSE Maths revision weekend courses taking place throughout December 2014, in Manchester. Be taught by Oxford University graduates, covering all the key concepts to help you succeed in your upcoming exams. Revise GCSE Maths in a Weekend! Places are limited, so APPLY ONLINE today.